... phosphorus is biologically vital. The average human body contains about 0.5kg of phosphorus, most of it in the form of phosphate to make bones and teeth strong. Phosphorus also crucially holds together DNA and RNA molecules – the backbone of these long chain-like structures contains two phosphate groups per pair of nucleic bases. Without phosphorus, it is hard to imagine any kind of life at all. 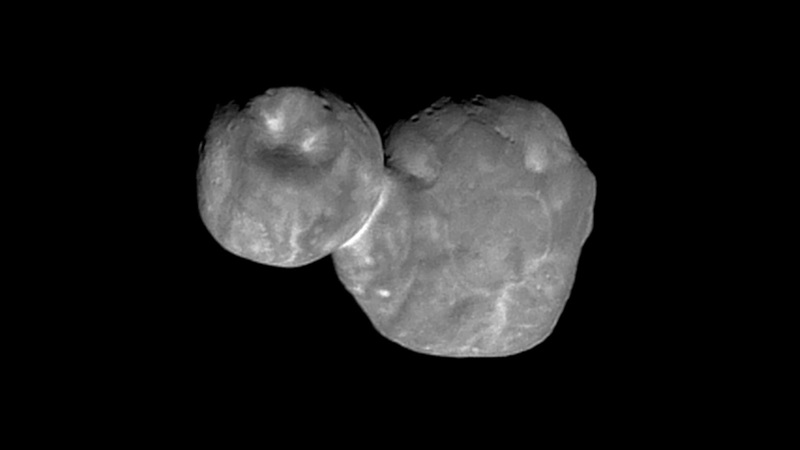 But on the positive (and seriously cool) side, we have data streaming home -- from about four billion miles away -- of the New Horizons probe's New Year's Day flyby of Ultima Thule. The data only get better and better. See "Craters, bulgy mounds and a collar." If nothing else, you gotta see the latest image.